When you’re already living in a dream destination, the idea of taking a vacation elsewhere may seem unfathomable, but even San Diegans get the itch to escape the city and explore new horizons. Luckily, Southern California is full amazing places that're just a car ride away (and no, that doesn't mean LA). Gas up the car, pack some snacks, and get your playlist ready, as you embark on one of these 10 weekend (or longer!) adventures. Why it made the list: As if copious amounts of tacos, tequila, and cheap beer weren’t already enough to get TJ on our list, their up-and-coming food scene and growing craft-brewing community are definitely worth a trip across the border. 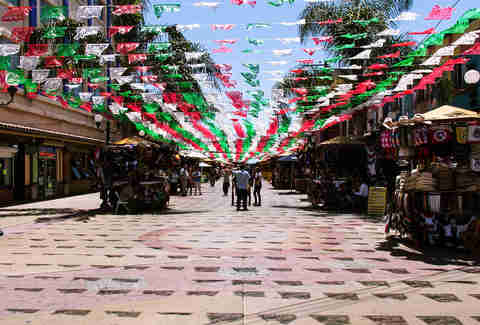 Pro tip: Sure, Avenida Revolución has cheap tequila and donkeys dressed up as sombrero-wearing zebras, but if you want to see the REAL Tijuana, get away from the tourist traps. If you’re a little apprehensive about your first visit, then hop on a tour with California-based Turista Libre or Club Tengo Hambre. They’ll be happy to show you where to find all the good stuff. 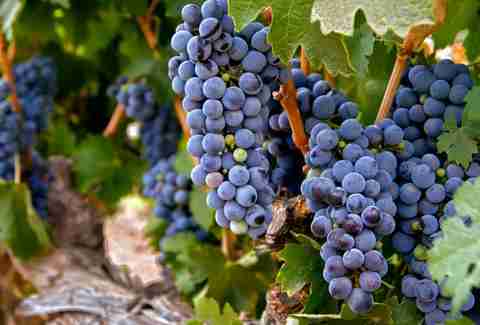 Why it made the list: Temecula is the Southern California version of wine country. They have more than 40 wineries that you can visit for tours and tastings, plus they have tons festivals (aka excuses to drink more wine) happening year-round. Pro tip: Take a hot air balloon ride over the Temecula Valley. There are multiple companies that will give you a lift, or just visit May 29th-31st to check out the Temecula Valley Balloon and Wine Festival. Why it made the list: If there is nothing more American than apple pie, then Julian must be the most American-est city in America. This little town has any kind of apple pie you could dream of. Their Main St looks like an old mining town in the middle of a forest, so even though it’s just a short drive into the mountains, it feels like you’ve entered a time warp. 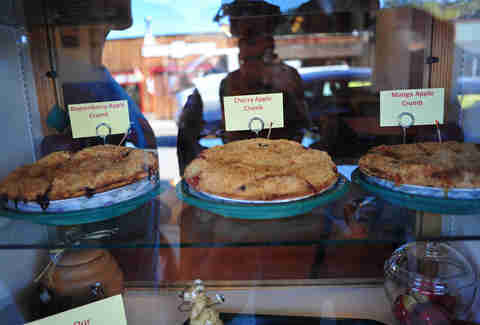 In the fall, you can visit the orchards to pick your own apples -- although its probably a whole lot easier to pick up an apple pie at the Julian Pie Company than it is to try and make your own. Pro tip: If you’re looking to get your pie fix, don’t go on the weekend. You’ll end up wasting the day standing in a line that wraps around the block with all the other apple pie-hungry tourists. It’s usually less crowded during the week. 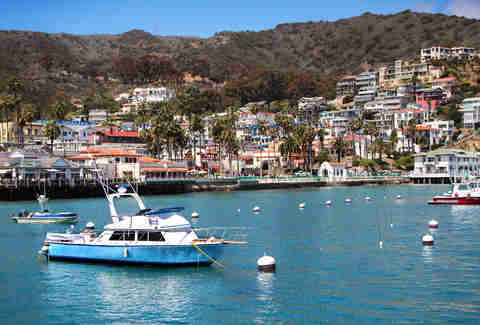 Julian is also one of the closest places to experience actual seasons near San Diego. They get all the glorious autumn colors in the fall, and it snows in the winter. Why it made our list: Ensenada has a little bit of something for everyone; from wine tasting, to canopy tours at Las Cañadas Park, to world-class surfing with 60ft waves and the only marine geyser in North America. It’s also where the Baja 1000 and Baja 500 off-road races happen, and you can even do some off-roading of your own. 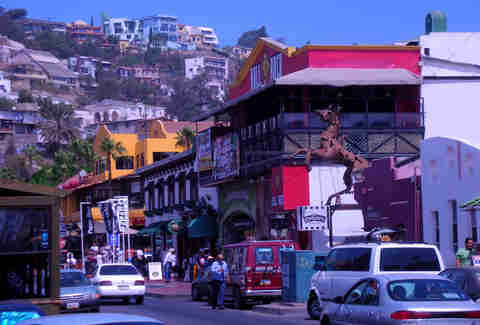 Pro tip: Make sure you get a margarita at Hussongs, Ensenada’s oldest bar. After all, they claim to be the place where margaritas were invented. Why it made our list: Whether you rent a cabin or pitch a tent, Idyllwild is the perfect SoCal destination for outdoorsy, nature-loving folks. The little town is tucked away in the San Jacinto Mountains, where you can hike trails of all levels through the pine forest, and also camp, mountain bike, and rock climb in well-known spots like Tahquitz Rock and Suicide Rock. Pro tip: Even if you’re just in the area to rough it in the forest for a few days, make sure to check out the village itself. Stop by Café Aroma to see some art, hear live music, and have a meal on the patio. Why it made our list: People from LA and San Diego (and plenty of other places) love Palm Springs. For those looking for a relaxing escape from the city, this is the ultimate SoCal spa/resort destination. But there is more going on in this desert oasis than just massages and poolside cocktail sipping. Cruise up the cliffs of Chino Canyon on the world’s largest rotating tram, rent a dune buggy or an ATV to go off-roading through the desert, or visit the Living Desert Zoo and Gardens... THEN go get a massage and sip cocktails by the pool. Pro tip: The temps in Palm Springs can climb well into the triple digits during the summer. 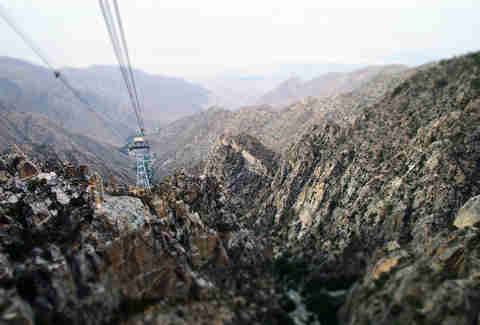 To keep yourself from burning to a crisp, ride the tram into the mountains. 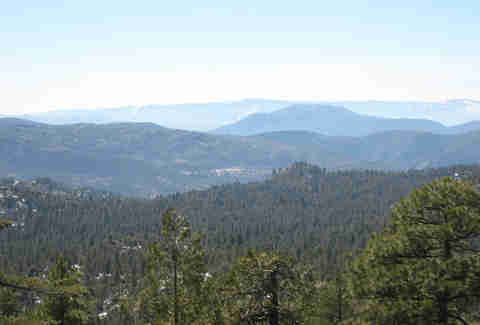 When you get off, hit the trailhead to Mt San Jacinto’s peak. At 10,834ft, it’s the second highest peak in SoCal; the temps are much cooler than the desert below, and the view is well worth the trek. Why it made the list: Let's see... beautiful beaches, scuba diving, kayaking, snorkeling, camping, spearfishing, paddleboarding, hiking, zip-lining, off-road tours, dolphins, parasailing, and roaming buffalo all on one tiny island. What’s not to like? Also, the main mode of transportation there is golf carts, which are the best. 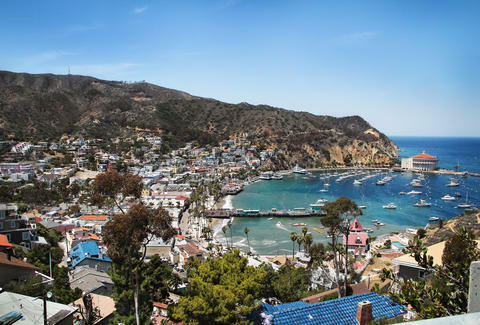 Pro tip: You can catch the ferry in either Dana Point or Long Beach, but either way, book your ferry ticket online or over the phone in advance to make sure you get a spot on the boat at the time you want. Reservations can fill up pretty quickly during busy travel times, so if you just show up the boat may be full. Also, take Dramamine! Nobody wants to be seasick. Why it made the list: If it’s good enough for Bono, it’s good enough for us. 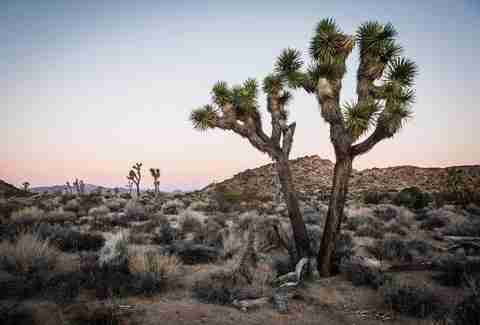 Joshua Tree is an easy drive from SD for a day trip or for a camping excursion. For day-trippers, there are plenty of sights to see along the main roads of the park. Joshua Tree has more than 8,000 climbing routes and 400 climbing formations, so it’s obviously a magnet for rock climbers and boulderers. Even if you’re not into trying it yourself, you can watch these guys do their thing all over the park while you check out the Joshua Trees from safer grounds. Pro tip: The national park isn’t the only thing to see in Joshua Tree. There is an actual town there with interesting things to see and do. Take a drive out to Pappy and Harriet’s (aka Pioneertown). If it looks like a scene from an old Western, well, that's because it is. Built as a Hollywood set in the '40s, it's now known for both local and big-name live music, BBQ, and bikers. 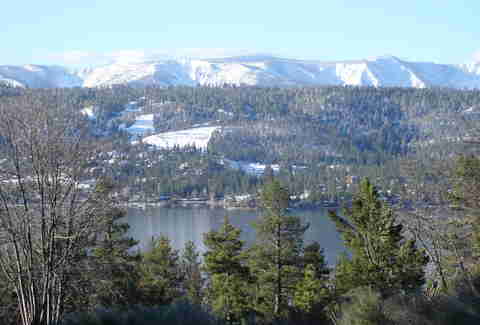 Why it made our list: Big Bear has it going on all year round. In the summer you can jet ski, kayak, parasail, hike, and fish; and once the snow starts falling, it’s the place to be for SoCal snow bunnies, snowboarders, and skiers. Even if you don’t partake in the wintertime sports there’s always sledding, tubing, snowshoeing, and plenty of hot chocolate. Pro tip: Get up early to beat the line at the Grizzly Manor Café before you hit the slopes. Their pancakes are bigger than the plate, and all there's plenty more grizzly-sized breakfast eats. 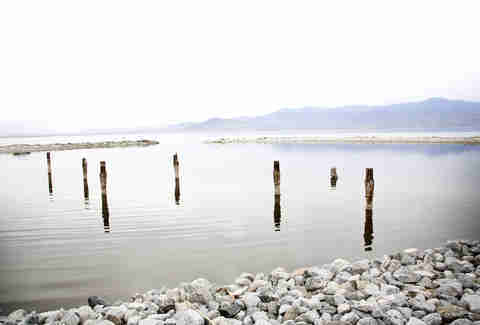 Why it made our list: The Salton Sea is the most romantic place in the world... said no one ever (at least not since its heyday in the '60s). It certainly has a charm all its own, though. If you’re into eclectic art and quirky desert rats living off the grid, then take a drive to Slab City. That’s where you’ll find Salvation Mountain, probably one of Salton Sea’s most famous destinations. The eerie, mostly abandoned Bombay Beach is a short ride from there. The coastline has a distinct odor and is covered in what must be thousands of dead fish whose bones make up the white "sand" on the beach. The old buildings and ruins of trailers & boats half-buried in the ground make for a surreal scene that is almost post-apocalyptic. Pro tip: Accommodations are few and far between, but if you plan to spend the day out there, you should stop by Ski Inn in Niland, CA. It might be the diviest dive bar on the planet, thus its appeal.